1897 photograph of Rhoda M. Marshall of Jonesport, Maine, in her wedding dress. 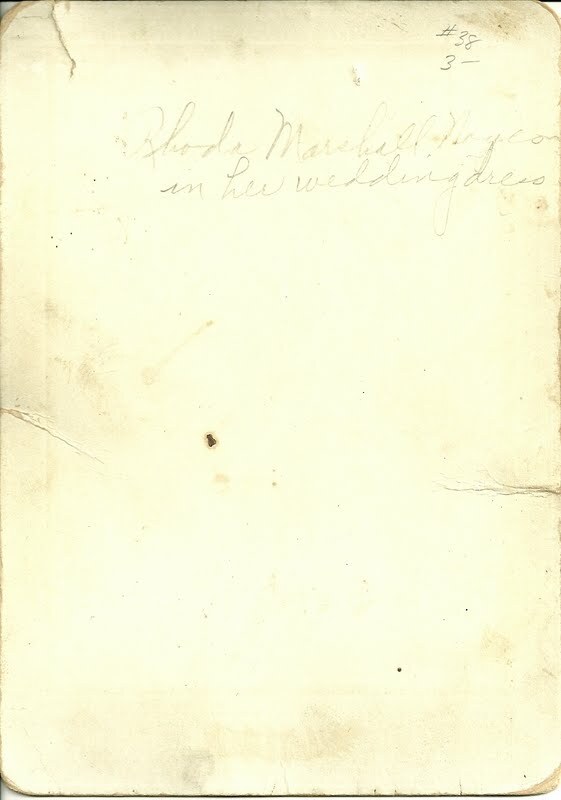 She married Charles Orrin Noyes of Jonesboro on 17 July 1897 at Steuben, Maine. 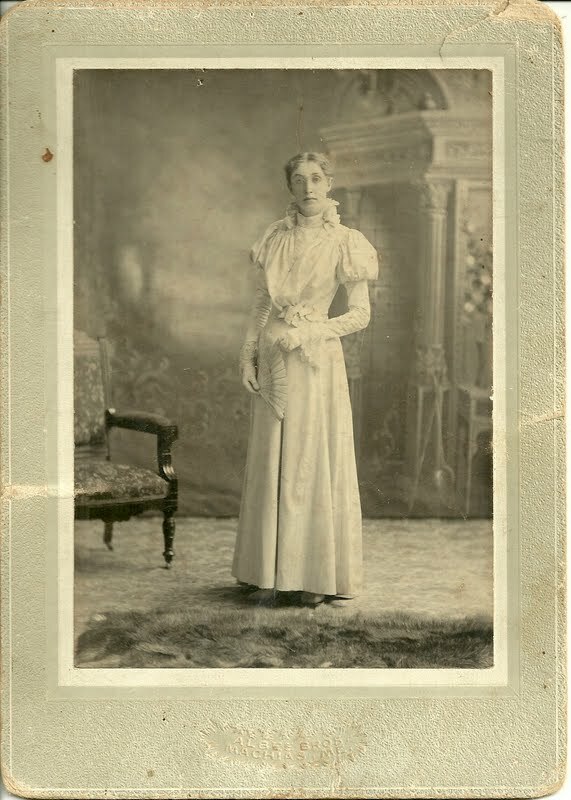 Rhoda M. Marshall was born in May of 1878 in Maine, the daughter of William Gardner Marshall and Martha Ann (Kelley) Marshall, each born in Jonesport, Maine. Her paternal grandparents were James and Hannah (Robinson) Marshall. Her maternal grandparents were Phineas Manwarren Kelley and Lydia Ann (Alley) Kelley. 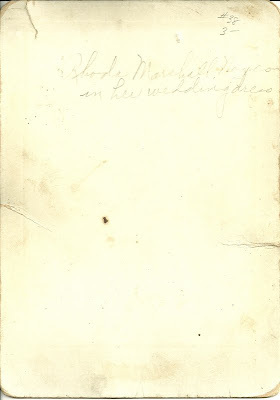 On 17 July 1897 at Steuben, Maine, she married Charles Orrin Noyes, who was born 21 August 1876 at Jonesboro, Maine, the son of Levi and Adelaide E. (Look) Noyes. His paternal grandparents were George W. and Elmira (Farnsworth) Noyes. His maternal grandparents were Sidney Smith Look and Mary (Cummings) Look. Rhoda and Charles Orrin were twenty when they married, according to their marriage record. Rhoda's occupation at the time was Teacher, while Charles Orrin stated that he was an Engineer. He later went into commercial fishing. They lived in Jonesboro and Roque Bluffs, Maine. I found two daughters for them. For more information on Rhoda M. (Marshall) and Charles Orrin Noyes, please see their page at the Maine & Maritime Canada Genealogy network. A map of the Jonesport and Jonesboro, Maine, area: scroll to the northeast for Jonesboro and Roque Bluffs.